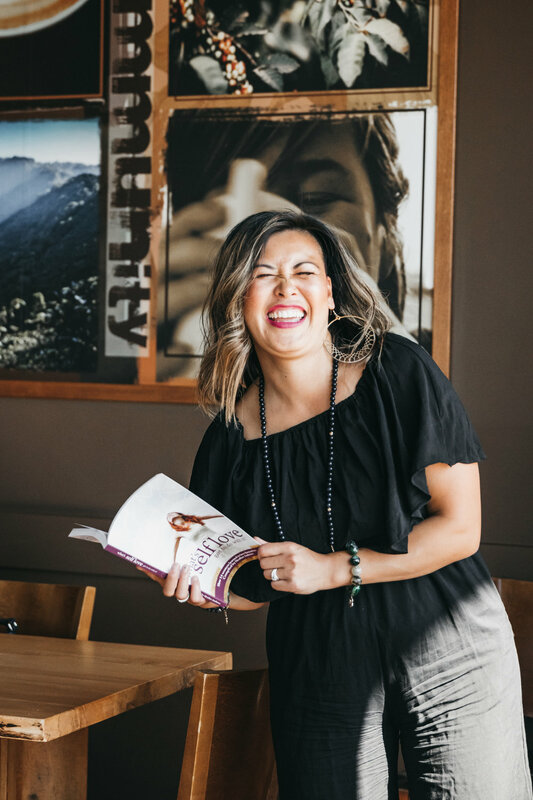 Today's episode of Women To Watch Wednesdays features self-love life and business coach and new international best selling author Rosalyn Fung! Rosalyn’s workshop and launch party in March was the first networking event I went to when I first came to Edmonton. I watched her teach and speak infront of everyone about self-love, our fears and the lies we tell ourselves that hold us back from reaching our full potential. Ive been wanting to do an interview with her since then so when her new book, Wha's Self Love Got To Do With It?" came out there's no better time! We did a shoot to promote her book and we got to use it for her book signing event poster! Her new book is amazing and I love how she puts it out into the world with so much joy and pride. She co-wrote with other ladies from all over the world to write about the topic this woman is such an expert in, Self-Love. I’m excited to finish reading it, im not wondering it’s an international best seller!! Congrats Roz! I'm so honoured I got the opportunity to do this with you! This was our first picture together from her launch party! That event gave me new perspectives AND opened up so many doors for me. At that time I had ideas of what I wanted to start and it was the first time I spoke them out loud. It was empowering and they felt real! At one point we were asked a question about our fears and everyone around the table gets to answer. If someone feels the same fear as another, she has to lift her hand up. It brought us so much peace knowing we’re never really alone and we all feel the same. Because of that I was able to dig deep into my subconscious to pinpoint what i was soo afraid of. And it was this: i was afraid of starting, not of starting itself, but of letting other people see me start small. It felt petty at the time, but when hands started coming up, the weight started to lift as well. Im so grateful for those ladies on my table. I still keep in touch with some of them! Before I left that day I made sure I meet her to say bye and also to thank her. She's such a wonderful person who radiates love and passion to help others unleash their inner wonderwoman and tame that inner mean girl. I told her a bit of the story of how I just moved from the Philippines 3 weeks ago then and how I'm just gonna start my own business. Haha! Then we met again at another event and I was soo happy learning how she remembered me and my story! It just proves how genuine she is with everyone she meets. Read my interview with her below! 1. Congratulations on your first book!! How does it feel to have a published book and be an author? What’s the most exciting party of it all? Thank you! Honestly, it feels surreal to say that I can say I am now an International Best Selling author! It has been a dream of mine to be an author! The most exciting part of it is that this book is going to transform the lives of our readers! 2. How did the idea of the book come about? Can you tell us about what it’s like to write a book about something youre passionate about with 14 other women? The publisher, and one of the co-authors, Heather Andrews of Follow It Thru Publishing approached me. We met a couple years ago at an event and stayed connected ever since. 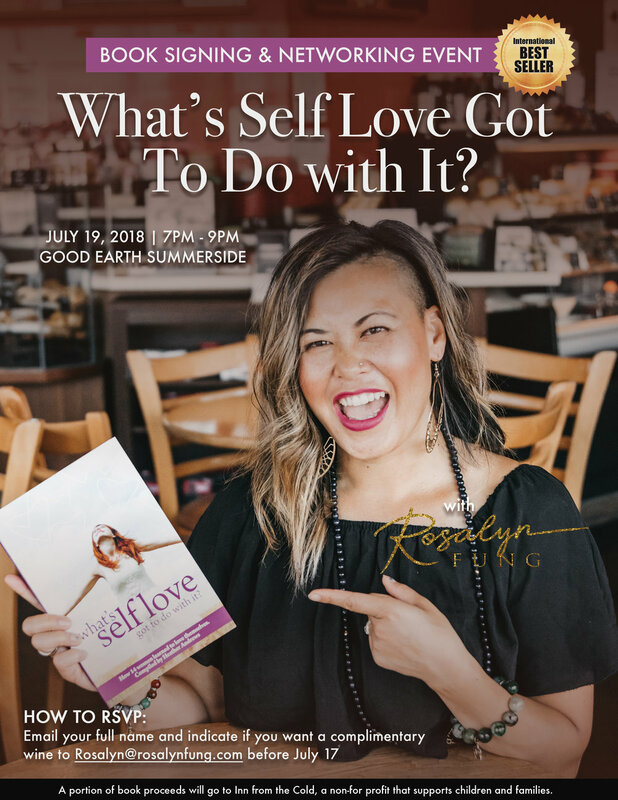 She approached me immediately when she knew she wanted to write a book about Self-Love, seeing that she knows my work is foundationally based on leading our lives from a deep place of self-worth. Working with 14 other women from around the globe was amazing! Thank goodness for online technology and Facebook! We had a private group where we shared our questions, inspiration and updates with each other and the vibe was high! Heather did an amazing job keeping the energy going and contained! It’s an amazing group of women! 3. Talk about your own journey to self love. It’s still an ongoing journey, I believe we never stop evolving! LOL! My own journey in short (long form can be read in my book!) ;) is that I grew up receiving messages that I wasn’t good enough - I wasn’t pretty, skinny and smart enough. So I overcompensated by becoming an overachiever, perfectionist and developing Type A personality. I struggled with body image almost my whole life, and in my late teen years, began to diet and workout to achieve my “perfect body”. I even developed binge eating issues. I constantly was trying to prove my worth to everyone else and seeked validation externally. When I did achieve my “perfect body”, life felt empty. So I did alot of inner work to heal and realized that my purpose is to help others heal through guiding people to come home to themselves too, lead our lives from a confidence and worthy place so that we can live boldly and confidently. 4. What are your favourite self love practices? 5. What does self love mean to you? How has its meaning changed for you over the years? Self-love is both a noun and verb. It’s appreciating myself like I do a loved one, AND also engaging in acts that support me in mind, body and spirit. The word self-love was not part of my vocabulary until a few years ago, so in that sense, the meaning hasn’t changed for me over the years, but the depth of it has deepened AND the types of self-love activities and practices have broadened as I am exposed more to various things that bring me joy. 6. What are the common myths around self love? That self-love means you are egotistic, narcarcisstic and conceited. It is NOT this at all. I actually wrote an Expert piece in my book about what self-love is NOT and what self-love actually is. 7. There are many people who mistake self care and self love. What’s the difference? They definitely go hand in hand. I believe that self-care are activities that nourish us mentally, emotionally, physically and/or spiritually. In order for us to care for ourselves, we need to give ourselves permission first. In order to give ourselves permission, there must be a part of us that knows we are worthy of engaging in self-care. This is where self-love comes in. We need to love ourselves enough to put ourselves first. Sometimes, I have clients who engage in self-care but have low self-worth/ self-esteem, and I KNOW that there must be a part of them that cares enough about themself to engage in self-care, or they wouldn’t be doing it at all. My job is to help them grow this care into love into deep, unconditional self-love. Self-love is a MINDSET. Loving yourself and knowing your worth and value allows you to tame your Inner Critic (because it doesn’t go away! ), feel the fear and go for your goals anyway! My job is to help others learn how to manage and tame their Inner Critic so that they can get out of their own way and achieve not only a successful, but a FULFILLING life and business. TRUE success, I believe, is about also feeling deep fulfillment. And fulfillment comes having deep self-love and living your purpose. EVERYTHING! When you lead life from a place of deep self-love, you are in alignment with the Truth of who you are which will guide you to live a fulfilling, purposeful life. If youre interested in meeting her, the book signing is the perfect opportunity! There are going to be free drinks and best company of high vibe people to network with! See poster below for details! Poster Collab with my Stephanie Gaw of 74 Media! Join her high vibe facebook group!